Pipe Bending There are 17 products. Handy and affordable machine metal rounding. Size of the circle: 1 " - 3 " (25-75 mm). 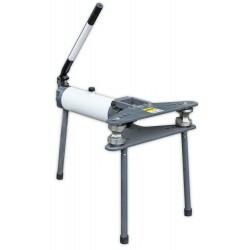 Easily transportable metal bending machine. Bending angle 0 - 200°. Easy to use and operate, low cost machine with high quality. 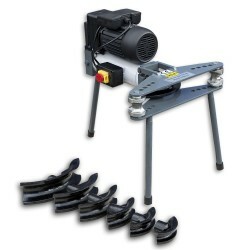 Can easily bend metal and with optional rollers even pipe. 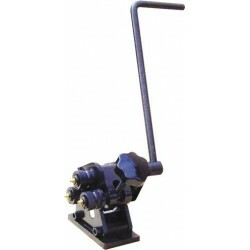 Small pipe bender, pipe thickness 0,8 - 1,2 mm. Maximum bending angle 180 degrees. A compact device. Ideally suited for gig use. Torque output is 10 tons. Maximum bending angles between 0 ° - 90 ° / 120 °. 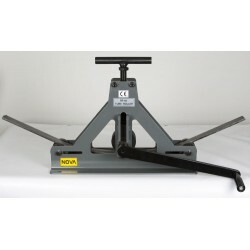 Heavy duty tube bender. Comes with various dies. A unique tool set, with which you are styling, you bend, rotate, make circle shapes as well as rivet. 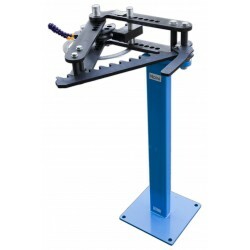 Super popular metal and pipe bending machine all over the world. Simple and easy to use, high quality with affordable price. 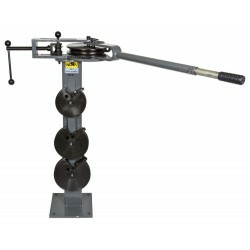 Motored tube bender. Work force 10 ton. 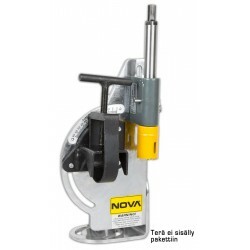 Popular metal bending machine, equipped with contra die to prevent the tube from collapsing. The bending angle: 0 ° - 120 °. For pipes up to 2". 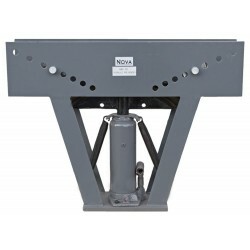 Nova ETR-50 is an electric pipe bending machine. Foot pedal operated. Equipped with 2' rolls.